Your roof is one of the most visible parts of your home’s exterior. More importantly, it protects you and your family from harsh weather conditions. Keeping your roof in good condition is important, which is why you should always get the most when working with your contractor. Tedrick’s Roofing gives you tips to get the best roofing experience possible. 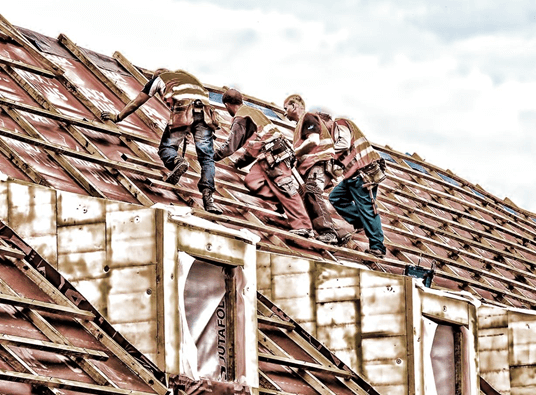 Working with the right roofing contractor is critical to ensure a stress-free roofing project. Choose a contractor that is fully licensed, certified, and insured. Tedrick’s Roofing is the preferred roofing contractor in Kent because not only are we fully licensed, certified, and insured, we also went above and beyond. We are a GAF Master Elite® contractor, which puts us in the top 3% of all roofing contractors in the US. Different homes have different styles of roofs. Some materials are more suited for certain styles of roofing than others. Some homes were not built with to support slate roofing. Different neighborhoods have different codes allowing certain colors, styles and types of roofing. Before your contractor talks you into something that won’t work for you, know what you are looking for. We are experts in several roofing materials, including shingle, slate, metal, and wood shakes. We can install, repair, and replace these materials. We can also explain to you all their different qualities. Whether you need roof repair or replacement, we’ll provide everything you need to know and recommend the best option for your home. Negotiating a proper contract and studying it carefully helps make sure your project runs smoothly. As the expert in roofing in Federal Way, WA, we understand the value of a good contract. We’ll prepare a clear and thorough contract to make sure that there are no misunderstandings. In addition, we require no payment until we have finished the job. We can also help you to arrange financing for your project. Follow these tips and you’ll have a smooth and successful roofing project. If you need any more information, or if you’d like to get some roofing done, then we will be glad to help. Tedrick’s Roofing has been the best and safest choice in roofing contractors in Kent and the surrounding areas for over 25 years. We have the experience and resources needed to handle any kind of roofing project. Give us a call to learn more about successful roofing projects or to request a free estimate.